Social Security faces a $5.3 trillion shortfall over the next 75 years, but a new congressional report says the massive gap could be erased with only modest changes to payroll taxes and benefits. Some of the options are politically dangerous, such as increasing payroll taxes or reducing annual cost-of-living increases for Social Security recipients. Others, such as gradually raising the age when retirees qualify for full benefits, wouldn't be felt for years but would affect millions. Many wouldn't affect current recipients, according to the report by the Senate Special Committee on Aging. Sen. Herb Kohl, chairman of the committee, said small "tweaks" are all that is needed to bolster Social Security's finances for future generations of retirees. Currently, 53 million Americans get Social Security benefits averaging $1,067 a month. In 75 years, 122 million, or one-fourth of the population, will be drawing benefits. On its current path, Social Security is projected to run out of money by 2037, largely because of aging baby boomers reaching retirement. For the first time since the 1980s, Social Security will pay out more money in benefits this year than it collects in payroll taxes. The longer action is delayed, the harder it will get to address the program's finances. "Modest changes can be made over time that will keep the program in surplus," Kohl, D-Wis., told The Associated Press. "They are not draconian, as the report points out, and they can be done and will be done." The committee is scheduled to release its report Tuesday. The report, obtained by the Associated Press, lays out options for fixing Social Security, but doesn't endorse any of them. 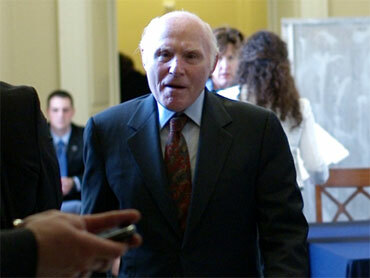 Kohl said lawmakers will probably combine several options to ease their impact. No action is expected this year, with midterm congressional elections looming in November. Lawmakers have said they hope to take up the issue next year. Social Security is financed by a 6.2 percent payroll tax on wages below $106,800. The tax is paid by workers and matched by employers. Older Americans can apply for early retirement benefits, starting at age 62. They qualify for full benefits if they wait until they turn 66, a threshold that is gradually increasing to 67 for people born in 1960 or later. The entire $5.3 trillion shortfall over the next 75 years would be wiped out if payroll taxes were increased by 1.1 percentage points for both workers and employers. It would also disappear if Congress started taxing all wages, not just those below $106,800, said the Senate report, citing projections by the actuaries at the Social Security Administration. On the benefits side, more than three-fourths of the shortfall would vanish if Congress reduced annual cost-of-living increases by 1 percentage point each year. Social Security recipients get annual increases based on inflation. This January, for the first time since automatic adjustments were adopted in 1975, there was no increase because prices decreased last year. About 23 percent of the shortfall would be gone if Congress gradually increased the age when retirees qualify for full benefits from 67 to 68. Nearly a third of the shortfall would disappear if the full retirement age were gradually increased to 70. The Social Security trust funds have built up a $2.5 trillion surplus over the past 25 years. But the federal government has borrowed that money over the years to spend on other programs. The government must now start borrowing money from public debt markets - adding to annual budget deficits - to repay Social Security. The Senate panel's report will be presented to President Barack Obama's deficit reduction commission, which is expected to review all entitlement programs in the search for savings. Many of the options sound simple, but most would have widespread ramifications, said Barbara Kennelly, president and CEO of the National Committee to Preserve Social Security and Medicare. "If you raise the retirement age and you don't do anything about the pension law or anything about retraining, and there's been no discussion on that, where are the jobs?" asked Kennelly, a former Democratic congresswoman from Connecticut. "It's not so simple." One expert cautioned that adjustments designed to fully fund Social Security for only 75 years will almost certainly have to be revisited well before then. Here's why: In 15 or 20 years, the Social Security trustees will be looking at a new 75-year window, one that includes future shortfalls beyond the current 75-year horizon. Those shortfalls will have to be addressed years in advance to avoid dramatic tax increases or significant benefit cuts, said Kent Smetters, a professor at the University of Pennsylvania's Wharton business school. "If you only fix it for 75 years at a time, the same problem suddenly reappears every 15 to 20 years," Smetters said.